A new study confirms that procedural animation in a game, such as the Locomotion System I developed for my Master's Thesis, can improve not only the visual impression of the game, but also increase the overall player engagement significantly. 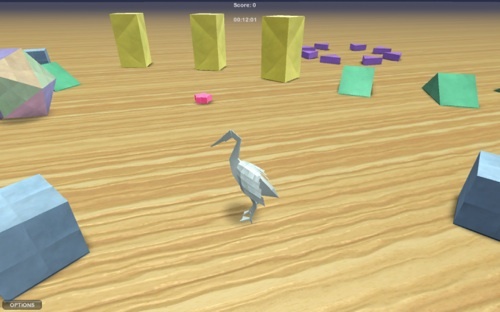 The study found that given four versions of a game with the only variation being the avatar visualization and animation system, the semi-procedural animation system consistently had a positive impact on the game experience. Users consistently ranked the procedurally animated version higher and played it for longer. This effect was found to be subtle and often beneath the user's ability to consciously identify the difference. I find this highly interesting! My Master's Thesis and many other technical papers about animation techniques simply take for granted that animation techniques that makes characters more physically situated in the game environment increases player immersion - but this study actually tests this hypothesis, and finds that players become more engaged at a general level as well. Her Master's Thesis is part of her studies at the Social Game Lab where research is conducted that addresses the subconscious qualities in design that make quality interactions. You can read more about Chelsea's work at her website, livelydisposition.com. For anyone interested in using this form of dynamic animation in their own games (to enhance player engagement! ), the Locomotion System can be used for free in any game authored using Unity - get the Locomotion System project folder to get started.